Why This Costume: Not gonna lie… This was mostly to join the Pokemon Go hype train, haha. But honestly, it was a fortuitous build. I really enjoy playing the game, I had about 85% of the necessary materials on hand, and I also wanted an easy to wear costume. So it all came together pretty well! How I made it: This was a remarkably fast and pretty simple build! I initially interpreted my trainer’s outfit as a top, leggings, and shorts rather than as a romper and leggings, so my approach reflects that interpretation. The top/leggings combo was made using Yaya Han’s ultimate bodysuit pattern. I blended out the underbust seams and used a grey spandex for the center piece. 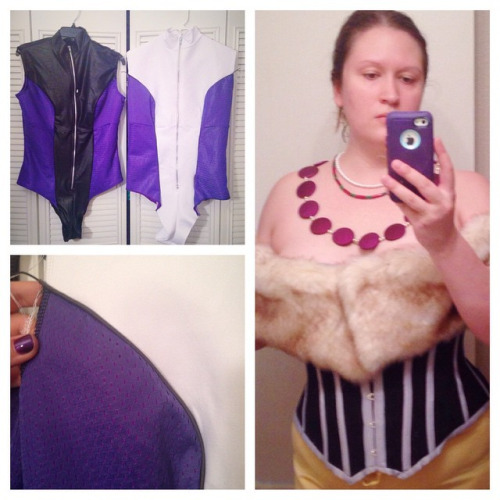 I drafted out the chest design with paper, then cut it out of purple spandex and topstitched the design down. Wondertape was a great help for this! Since the trainer wears a bolero, I ditched the sleeves and left the sleeve holes undone. Spandex doesn’t fray, and no one sees them anyway! 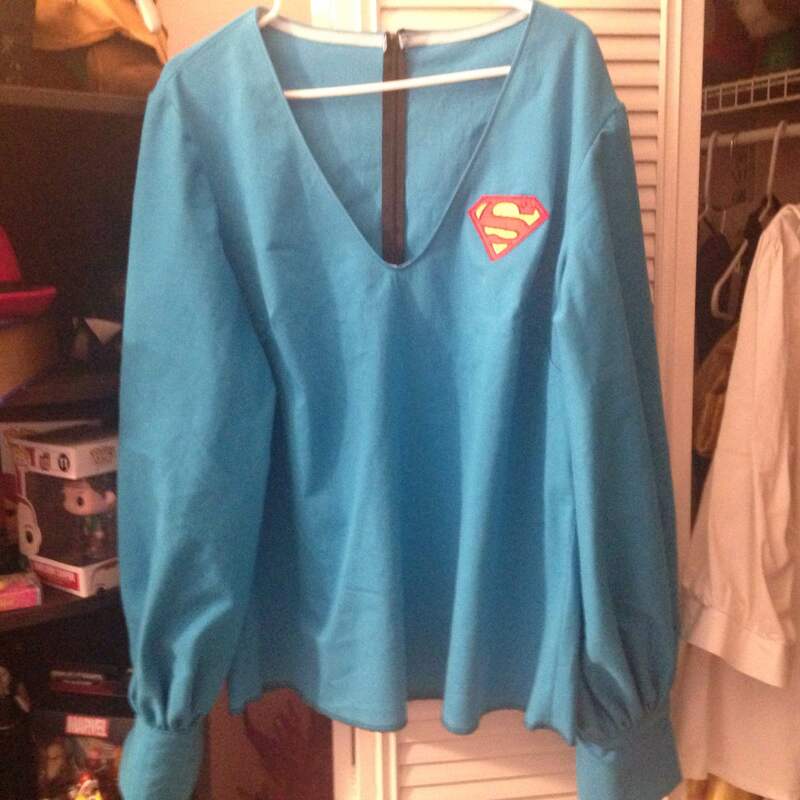 The neckline is finished with 3/8″ elastic. The leg portion of Yaya’s pattern comes in 2 pieces, so I simply eliminated some seam allowance from the outside seam and used that to add in the purple stripe. To make the bolero, I turned to my Avacado hoodie pattern. The pattern has a clear top and bottom half, so I dropped the bottom half to make this and drafted quick bands to finish off the neck, bottom edge, and sleeves. I topstitched the princess seams and the yellow stripes on the arms for a more RTW finish. The belt was made from some awful foam backed vinyl I’ve been hoarding for years. I used that as a base, then covered it with scrap grey and white spandex, again topstitching around the edges for a more professional looking finish. I stitched some webbing I had on hand for the skinnier portion of the belt and held it together with a large parachute buckle. My belt buckle (courtesy of Callula Cosplay!) attaches to the parachute buckle with industrial strength Velcro. Accessories! My hat was a basic black one I got off of Amazon. I drafted a quick Pokeball design and cut it out of felt. I used fusible web to attach the felt and then reinforced it with a hand stitch. The choker is quilt bias binding that has a snap stitched on the ends. I purchased the shorts from Wal-Mart. Thoughts on this costume: Man, this thing was stupidly cheap. I think I spent maybe $30 total? I totally don’t count the Eevee in that cost since he lives in my plush collection. Almost everything was something I had on hand, which is how I justified adding this to my roster, haha. While it’s not the most flattering costume I have, it’s stupidly comfortable and a really fun Sunday costume! I can’t wait to go Pokemon hunting and get more photos of this costume in action. I’m finally making some decent progress on Lulu! One of my big tasks for this month was knocking out her base skirt and sleeves. I debated on how to do this. There’s some discussion among cosplayers as to what Lulu’s skirt and sleeves are supposed to be: separate pieces or a dress with an extremely low cut back. I opted for multiple pieces for easier cleaning and repairs. These pieces are made with a material that was advertised as cow leather, but definitely does not feel like real leather. Regardless, it’s still a nice fabric with a great drape, weight, and sheen. I used Kwik-Sew 3400 up to the waist to create a base for the skirt. I blended out the princess seams in the front and back of View B and chopped off the front pieces at my desired length. From there, I used the sewn front and back to create a facing with the knit side facing my stomach for comfort. To create the sleeves, I took one of my basic sleeve templates and slashed and spread it to create the bell effect, using my French curve to create the drop in the sleeves. It’s held up with elastic backed with silicone, so it’ll (hopefully) grip my arm a little better than straight up elastic casings. 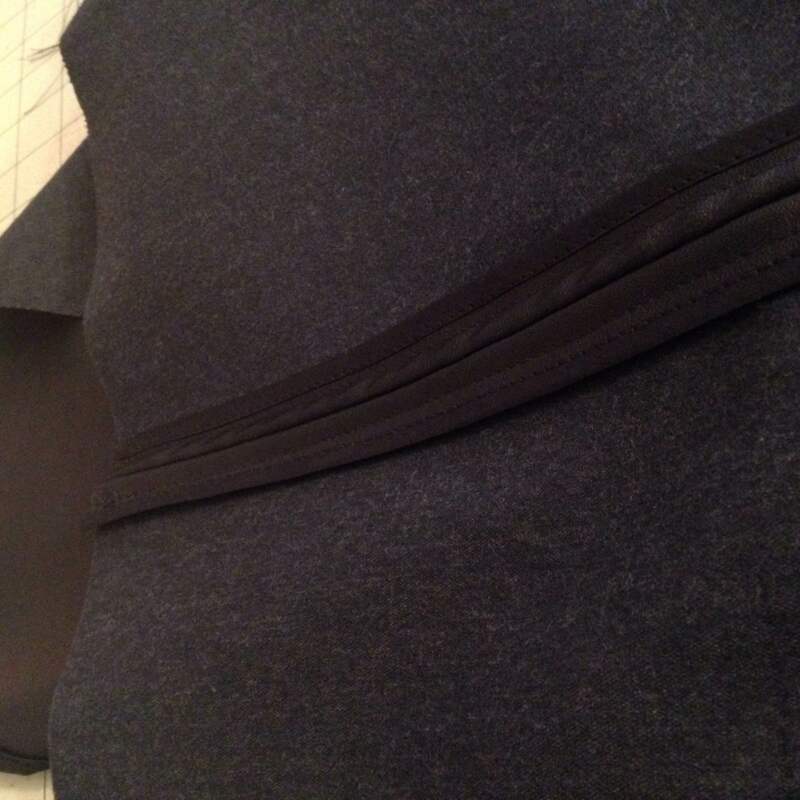 For both the sleeves and skirt, I opted to finish off the seams with a bound bias finish. 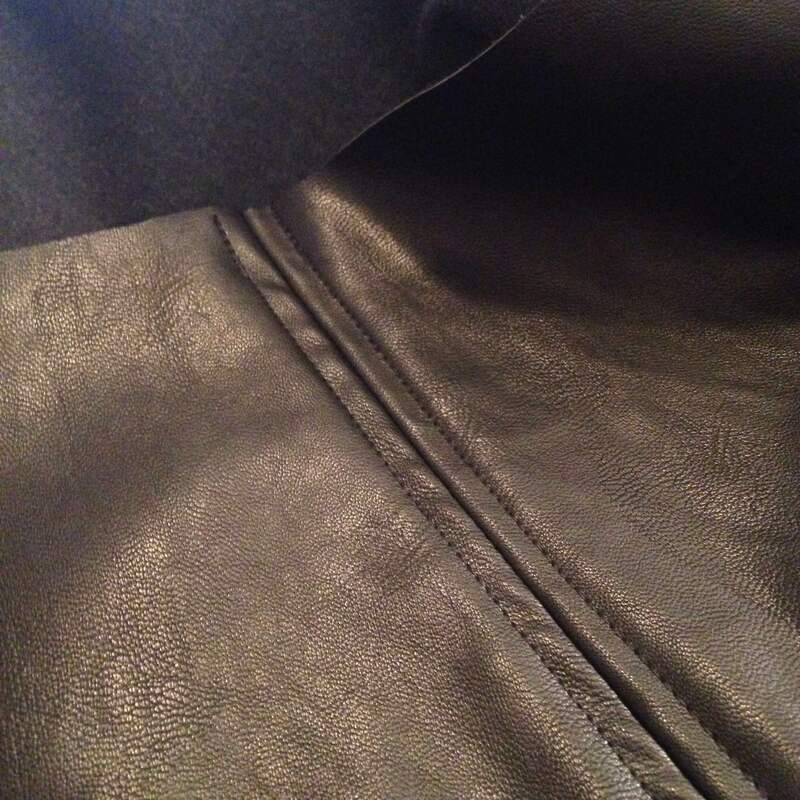 Leather and pleather don’t *technically* need a finish since they won’t unravel, but since this is a competition piece, I wanted to have a nice, clean interior for craftsmanship judging. I topstitched the remaining seam allowances down to match the game art. My other big project on Lulu was creating ALL THE LACE. I painted all the Venetian lace I purchased over the last few months by hand, which took several weeks of Netflix and evening painting. I created several more pieces by using lace embroidery pieces available from emblibrary.com. This is such a cool technique. 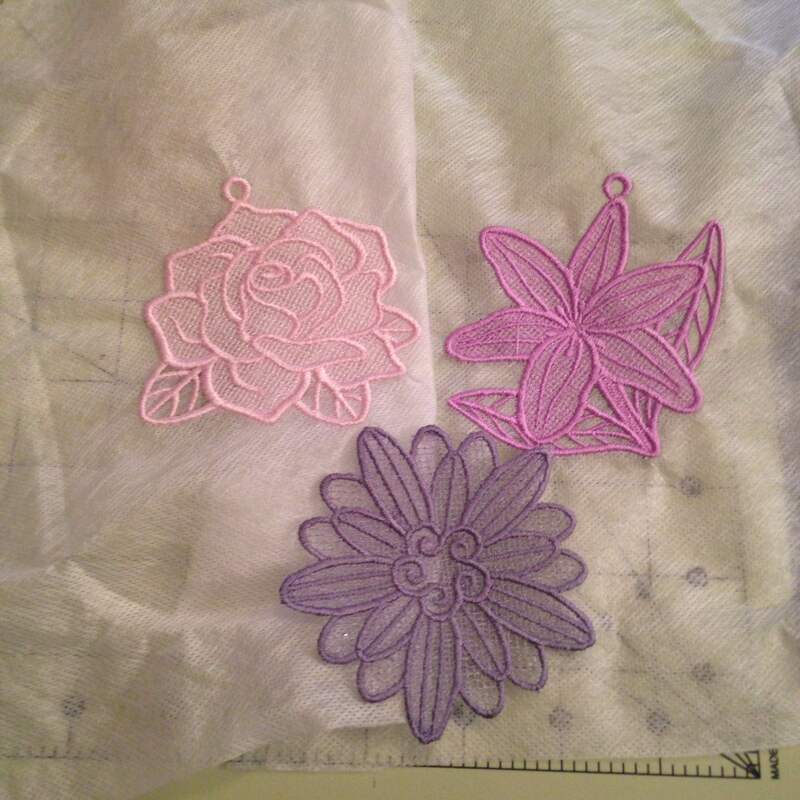 You “embroider” the lace pieces on water soluble stabilizer, then drop the finished piece in a basin of water. 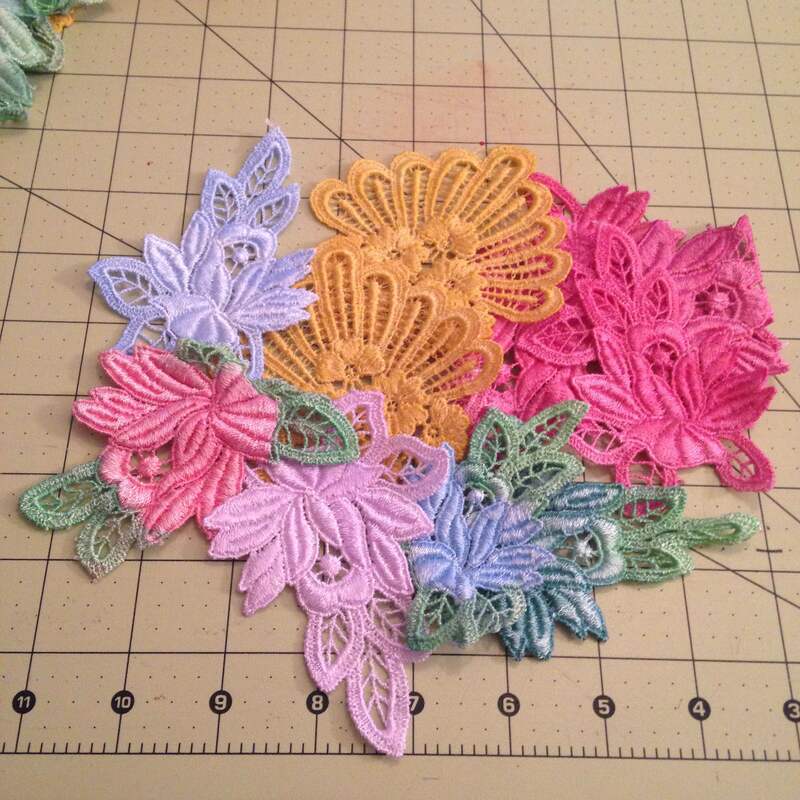 Once the stabilizer has dissolved, you iron the final piece and are left with a gorgeous lace flower. These are intended as coasters and Christmas ornaments, but they work perfectly as filler pieces for Lulu. I’m about 2 weeks away from the con, so I’m definitely in crunch mode! My final to-dos are styling the wig, finishing the moogle, gluing all the lace and belts on, and creating a bit of flame magic. Wish me luck! Not much to say here that I didn’t say in my She-Hulks post. Body painting was one heck of a learning experience, but I’m glad I went through it! I’m looking forward to brainstorming our next mother-daughter build. 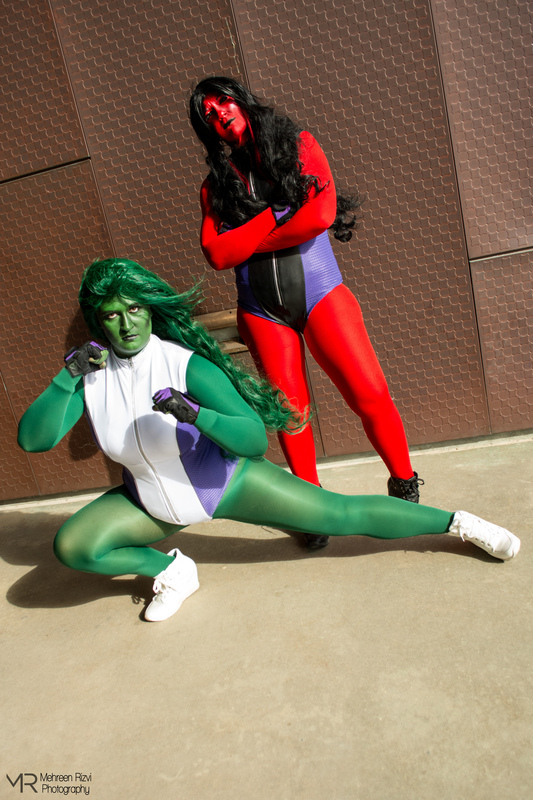 Fabric: Approximately 1 yard of 4 way stretch pleather for Red She-Hulk and a half-yard of purple milliskin. Approximately 2 yards of heavy white moleskin for She-Hulk, a half-yard of purple milliskin, and scraps of grey for piping. 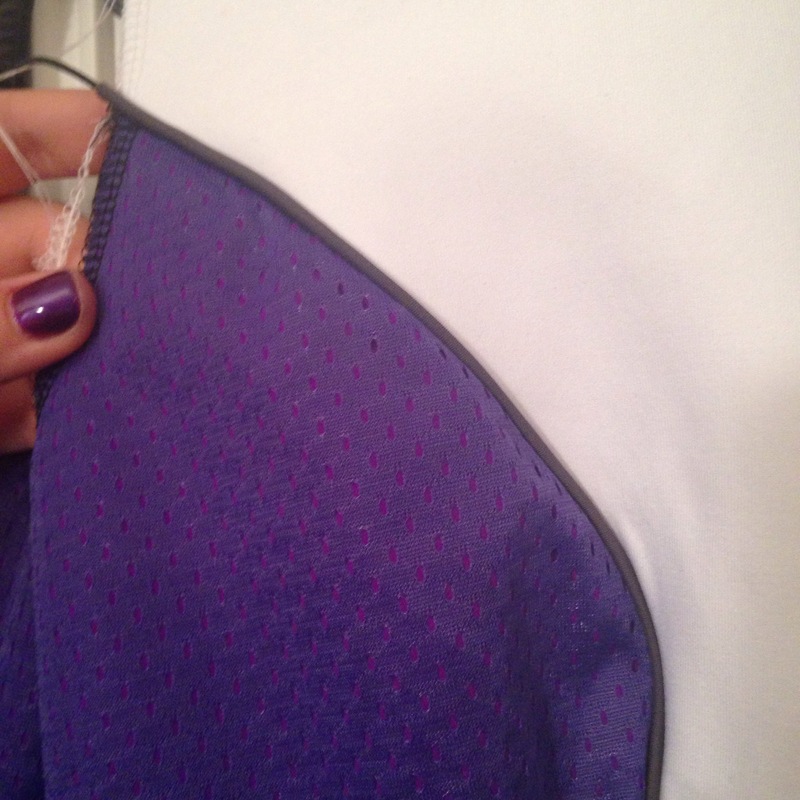 The purple milliskin on both suits is covered with fabric from men’s basketball shorts. Alterations: Added 2″ of length at the bodice cut line. In hindsight, I probably should have also added a half inch to the crotch cut line. 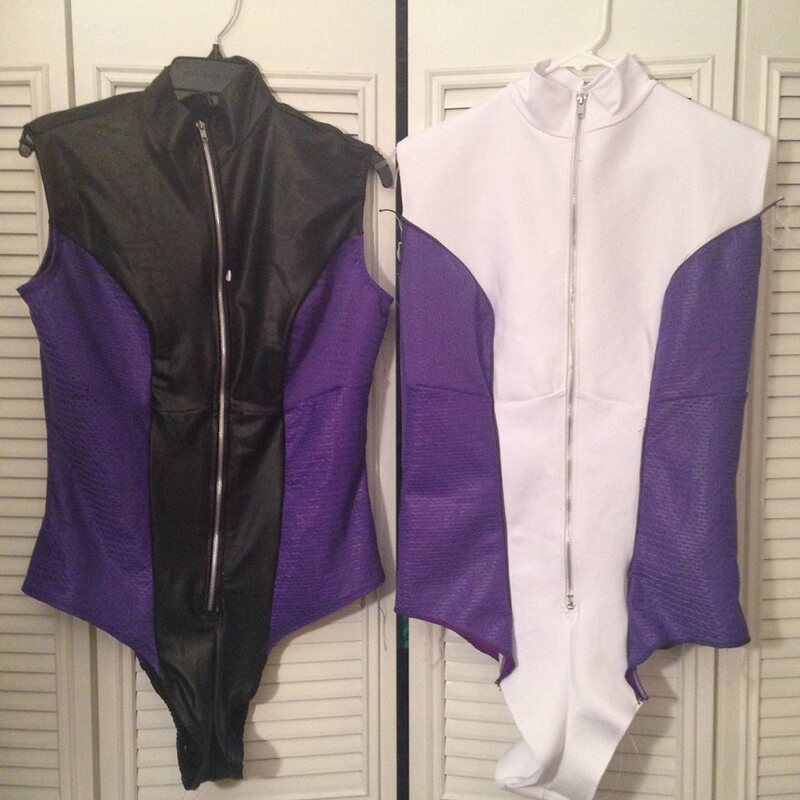 I also ditched the sleeves and made my suits with an exposed zipper, as detailed in the Cosplay by McCall’s blog. Did it look like the pattern illustration? : Pretty much. Were the instructions easy to follow? : Overall, yes, though some of the directions weren’t really the norm for spandex suits. Make it again? : Absolutely. Hoping to make a new Rogue with this pattern soon! Other thoughts: My main thought when I first saw this pattern was, “How useful is this really going to be for superhero suits?” While this suit is great in a lot of ways, it will still require a lot of alterations for most superheroes, especially any superheroes that have crazy seam lines (looking at you, Carol) or seamlines that don’t match up to this pattern. That said, if you want a suit that will be a great resource for a tailored fit, this pattern is fantastic. I’ve never had a suit fit me quite this well, especially under the bust. I’m adding that feature on ALL my suits from now on. If I get around to remaking my Batwoman suit, I’m definitely going to use this pattern. So now that the pre-amble is out of the way, here are a few tips to make your process go a little bit smoother than mine. In order to give this pattern a fair review, I tried to stick with the design as is for the most part. So first up: directions. For the most part, these are pretty straight forward. But there are a few steps that made me shake my head a little. My main complaint was that the instructions call for a casing in the leg holes. While you *can* do this, it’s suuuuuuuuuuper annoying. Instead, I sewed the elastic directly to the leg holes, which is far more common for swimsuits and is a staple in Kwik-Sew spandex instructions. While I didn’t include arms on this leotard, I did take a look at the instructions and again shook my head. You’re instructed to set the sleeves here as you would a woven garment. Again, nothing technically *wrong* with this, but I almost ALWAYS take the RTW sleeve setting approach in spandex suits. Next up: fit. I don’t know about y’all, but this suit had way more ease built in than I was used to, especially compared to Kwik-Sew. I wound up cutting the sides a size smaller than my pattern measurements, and I also took out a full 2″ at the waist of the front princess seams. This isn’t necessarily a bad thing. After all, no pattern will fit every body perfectly right out of the envelope, and lots of seam lines means you have flexibility with tailoring. 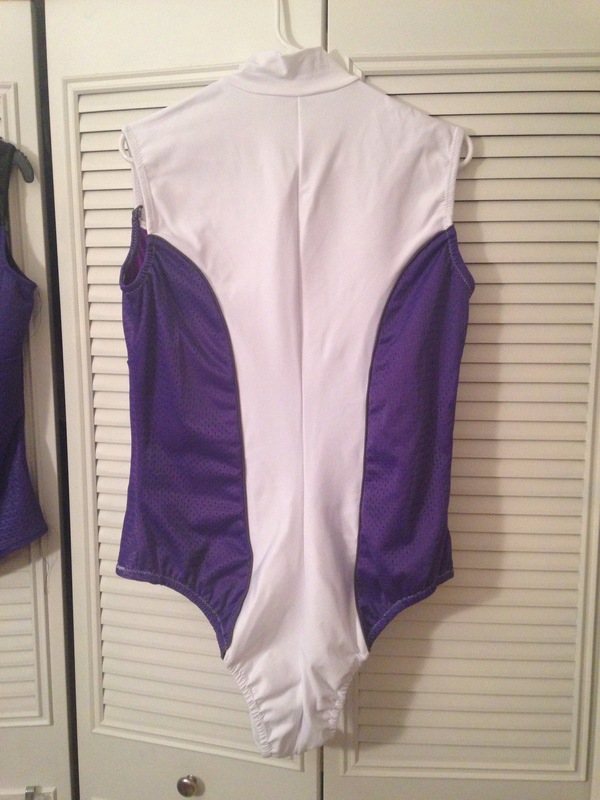 Still, I’m very glad I made a mock-up with my go-to spandex undergarments. Finally, difficulty. I would honestly hesitate to recommend this pattern to a complete spandex novice. My suits each had 13 pattern pieces (double that on Jen since everything is double-layered), which is a bit overwhelming for a newbie spandex sewer. Kwik-Sew’s basic catsuits by comparison have 5 pieces. Pattern matching is a big deal here as well, especially at all the bust points, and that can be tricky for folks not accustomed to sewing with stretchy fabrics. I highly recommend basting before you commit to your final stitches. Have any of you used this pattern yet? What did you think of it? I mentioned a while back that I finally indulged in a sewing machine with embroidery capabilities. This was mostly for Lulu and her insane lace trim, but I thought it’d be fun to learn how to do other things like making patches and such. Almost six months later, I finally got around to turning on my machine for the first time! 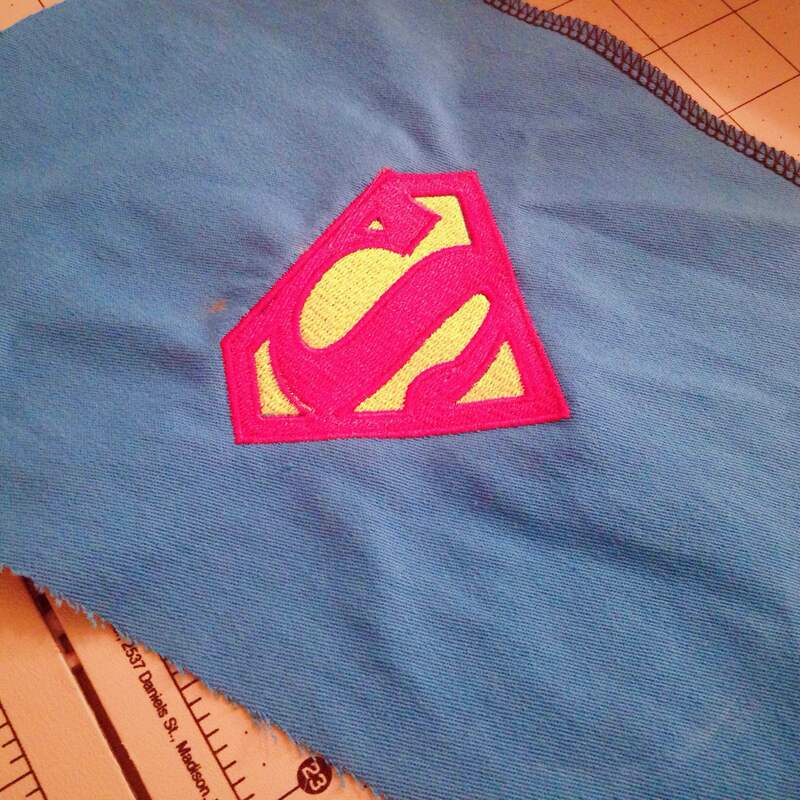 To break in my machine, I did a couple test runs of a Superman logo for a 1970s hotpants Supergirl commission. I purchased the logo off of Etsy, and it was pretty simple to transfer to my machine. Once I unzipped the file, I dragged it to the desktop on my Mac. After plugging my laptop to my machine, it was pretty simple to drag it to the machine’s drive and transfer the file. The machine came pre-installed with a bobbin of white embroidery thread, so all I had to do was put my embroidery thread in for the needle and let it go to work! I did 2 initial test runs of this project on scrap fabric before moving on to the real thing. With my initial run, I mixed up the order of the thread, but it wound up working out anyway since I didn’t like the 2″ size. For my second run, I went with a 3.5″ logo. This time, I got the colors in the correct order and was overall pretty pleased with how it turned out. No problems whatsoever! It was only when I got started with my commission that things started going awry. As soon as it started, the white bobbin thread was the only thing showing. Okay, no big deal. I threaded the bobbin incorrectly. Easy fix. Then the bobbin not only ran out of thread, but it created a huge knot on the wrong side of the project. Okay, deep breaths. Snip away all the extra threads, re-thread the bobbin, and install everything correctly this time. At this point, my stabilizer was perforated and wonky, but I was also concerned about re-hooping my fabric and hitting the wrong place. So I snapped the hoop back in place and hoped for the best. While the final product turned out fine, it’s not quite as awesome as my second test run. While I wouldn’t call the embroidery interface intuitive, it’s pretty easy to use once you figure out where all the buttons are and what all the symbols mean. I had to stop in the middle of my final project, but once I figured out how to jump to different steps in the embroidery process, I was able to finish pretty quickly. Thanks, user manual! Stabilizers are your friend! This fabric is a medium weight twill with a touch of stretch to it. I used a cut-away Sulky stabilizer that I had on hand for this project. I do need to pick up a can of basting spray ASAP though. I think that would have helped with my final logo. When in trouble, double check threading. Most of my final issues were due to user error. BurleySew: Lots of video tutorials on working specifically with the Brother SE400. Embroidery Library: Some great tips and tricks on embroidery, including information on which stabilizers to use with different types of fabric! They’ve also recently released several video tutorials. Have you done any machine embroidery before? How did you like it? A common comment people make to me these days is: “I wish I had the time to sew like you do.” This is both frustrating and exciting, since I love sharing my passion for crafting, but I think people tend to forget that they have to make time for recreation. Like a lot cosplayers and home sewists, I work a full-time job, have family/relationship/friend obligations, and other personal activities like exercise. Many (see: most) days, I only have 1-2 hours tops to work on a project. On a good week, that translates to about 12 hours of sewing time a week, assuming I also sew 3-4 hours a day on weekends. But “good” weeks are rarities. They really only happen when I have back to back deadlines or a convention coming up. Most weeks, it’s really closer to 6-10 hours of crafting, since there are nights when I have to do adult stuff (bleh, laundry). Some nights I have obligations with friends or simply don’t want to sew. 1. Figure out a committed, uninterrupted time. I’ve changed time frames when I sew several times over the last few years. 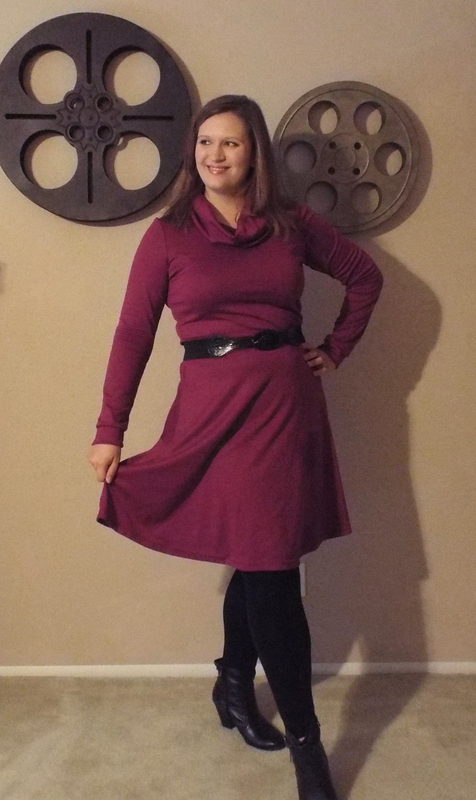 When I had a 30-45 minute commute, I got up around 5am and sewed for about an hour or 2 before I left for work. It was the easiest time since my boyfriend got up around the same time to leave for his workout. My commute now is closer to 10 minutes, and the best time for me to sew is in the evenings once I’ve had dinner (see: hanger abated) and the dog has been walked and distracted by a toy. Keep an open mind with your craft time, but make sure you carve out a set time and make it yours! 2. Work on similar tasks at the same time. Need to cut patterns? Do that on one day. Need to finish hems? Do that another day. Working on similar tasks at the same time cuts down on dead time between steps. 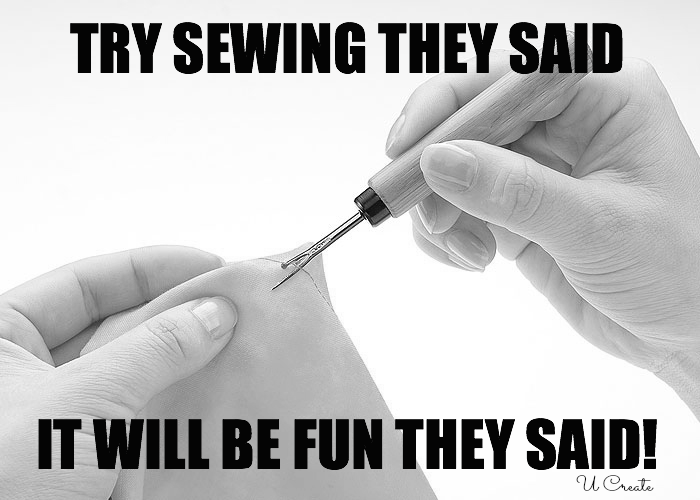 With my sewing, for example, I’ll sew all of the hems/darts/etc. I can before it’s absolutely necessary to finish and press seams. My cutting table is still one of my favorite storage pieces in my craft room! 3. Keep your stuff organized. And preferably in an area where it’s easily accessible. Corner off a section of the dining room or your bedroom. Label your stuff. Keep it handy. I have a whole craft room at my disposal now, but my last apartment was a 500sq foot loft. 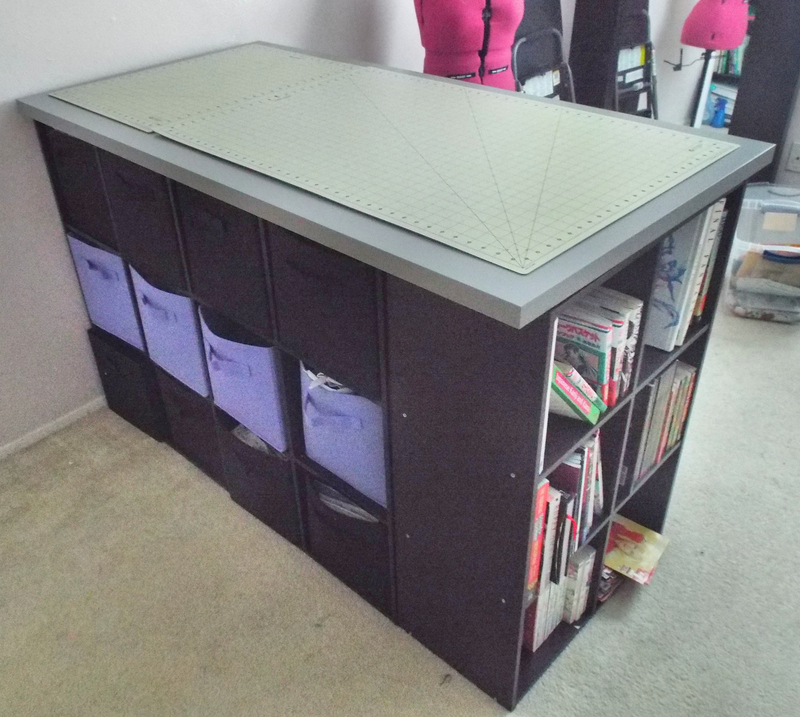 I relied heavily on my collapsible sewing desk and all the storage space it provided. I also have some cheap plastic rolling storage units for fabric and other items. Underbed storage is also great for limited space. Some of my most frequently used sewing tools from left to right: Rotary cutter, Gingher scissors, pattern weights, and stretchy needles! 4. Invest in quality tools and supplies. Nothing is worse than taking the time to assemble all your pieces only for a faulty set of scissors to mangle your fabric. Or carefully cutting and planning a costume with cheap fabric only to make a mistake and have the fabric *literally* unravel. 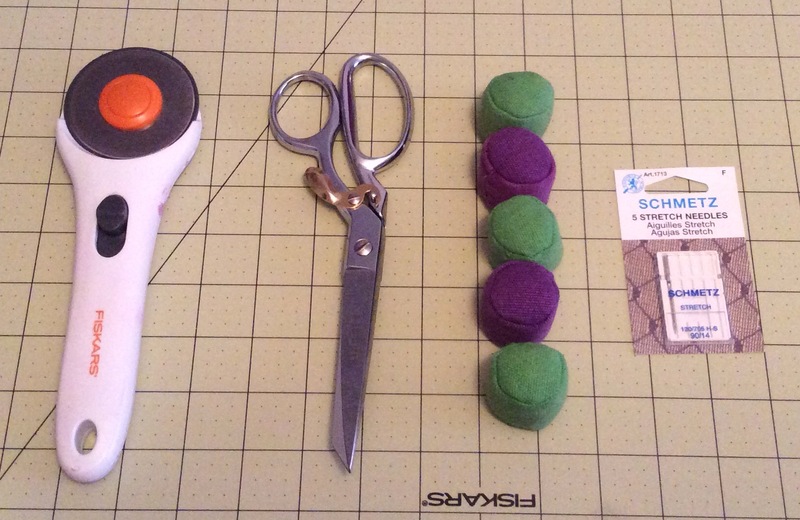 A few tools that can change your life: rotary cutter, pinking shears, pattern weights (really prefer these to pins when cutting), and a waist-level table stationed next to your sewing machine for quick pressing. 5. Craft in the right frame of mind. Hobbies should be enjoyable. 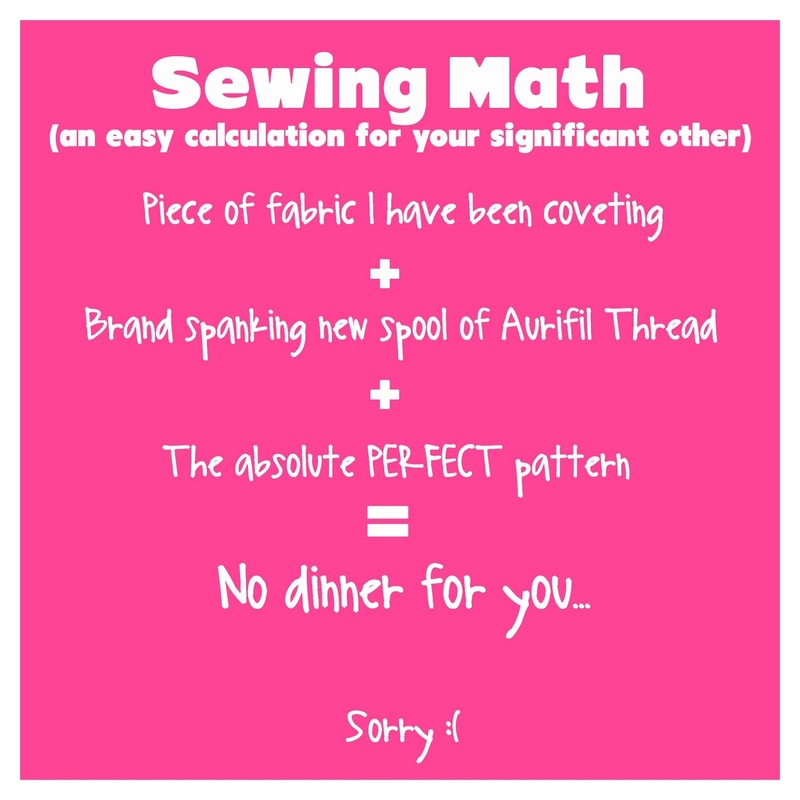 I really like sewing most days, but if I’m tired, sick, or just don’t want to sew, I’m going to make a mistake. When I make that mistake, I then wind up trashing a project or having to correct it. Just don’t do it. Take a break, have a drink, play a game, or work on something else. Come back when your head is clear and you’ll be much more productive. This is one of your biggest allies with time management. Allow yourself plenty of time to create and fix mistakes (because they happen). Nothing like botching a piece and finding out the fabric store is out of the fabric you need! 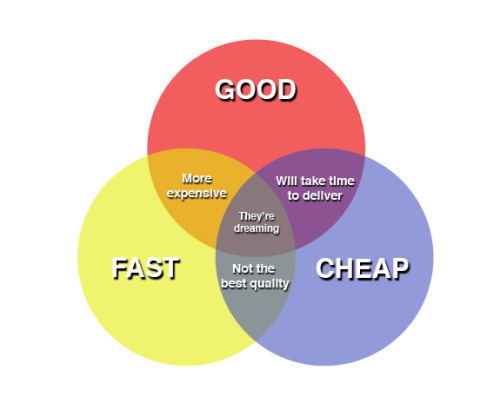 Remember the golden rule of crafting: good, fast, and cheap. You can have 2 of the three. There are a lot of people who get a creative rush on waiting until the week (or the night) before a con to get started on a costume. If that’s your thing, power to you. I can’t do that because it stresses me out sooooo much. The only time I’ll really do that is if I’m working on a simple project like a basic leotard or bodysuit. Otherwise, I make lots of weekly and monthly check-lists to keep me on track with personal projects, costume builds, and commissions. Apps like Trello and Google Docs are fantastic for check-lists! 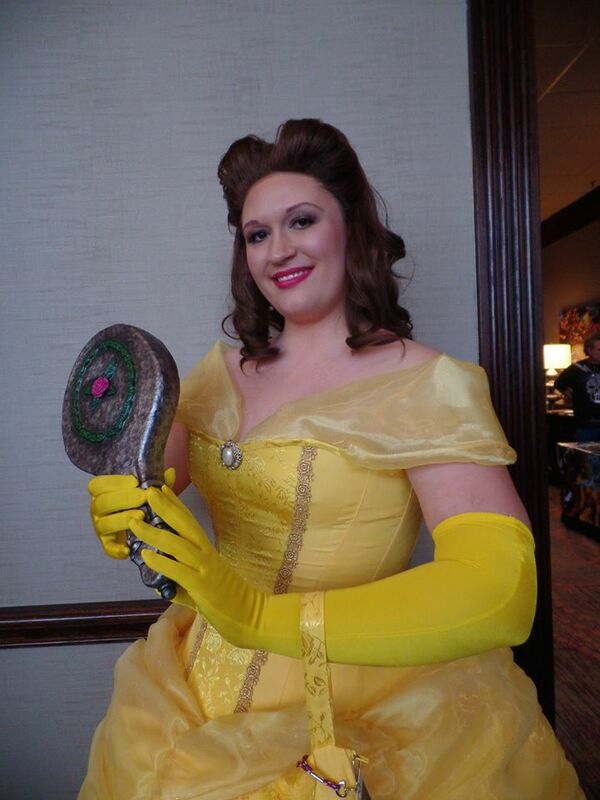 Callula Cosplay made this beautiful mirror for me since I fail at props. 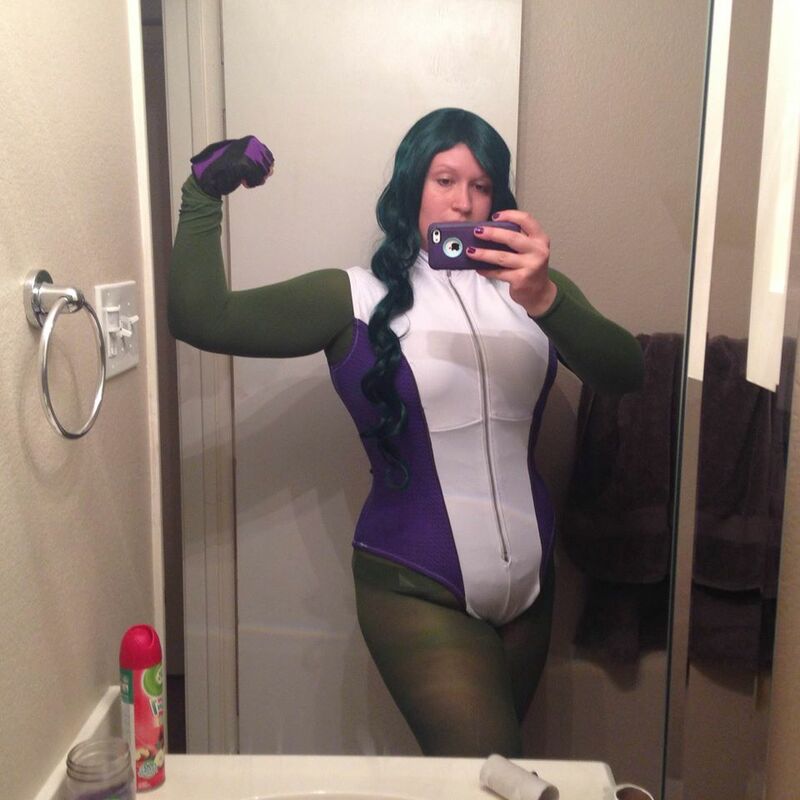 I made her Huntress bodysuit in return! Photo by Gone Catawampus. Whether it’s someone you follow or a friend. I’m not great with props, but I have friends who are. We often swap skills to cut down on wasted time and materials, and we also help each other learn new skills. Obviously, don’t be a jerk and ask, “Hey, give me a step-by-step breakdown of how to make X costume.” You’re being inconsiderate of that person’s time and also robbing yourself of the learning process. But if you have a specific question, by all means, ask away! 9. Research on your lunch break. There are so many tutorials out there. If you’re hitting a snag with a project, check out the interwebs. More than likely, someone has had the same question and there’s already a solution. 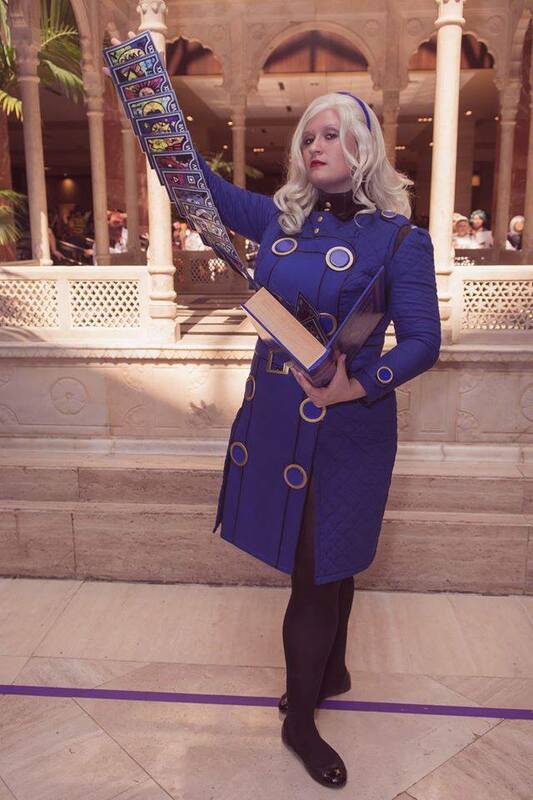 I stalk search cosplay.com regularly for suggestions. 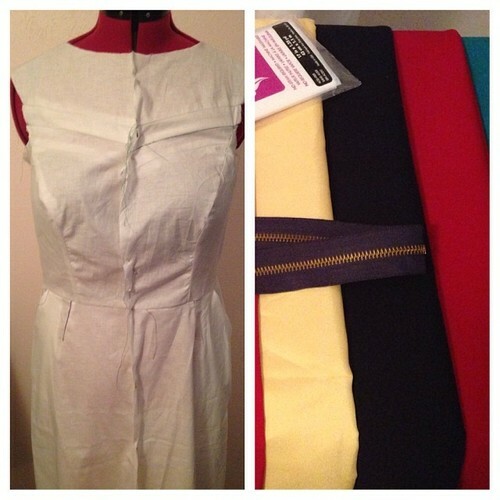 Skater dresses: great instant gratification practice projects! 10. Use it or lose it. One of my favorite sewing blogs mentioned that you should sew *something* every week just to keep in the practice. I agree with that. Even if you’re not working on a specific project, keep your skills up. Been meaning to make yourself a cute skirt or dress? Need to repair a pair of pants? How about making some cool jewelry from a resin cast? Heck, even just working on mock-ups for future ideas can keep you in the habit. Maybe not every week, but often enough to keep you fresh. Also, the more you practice, the faster you’ll get! 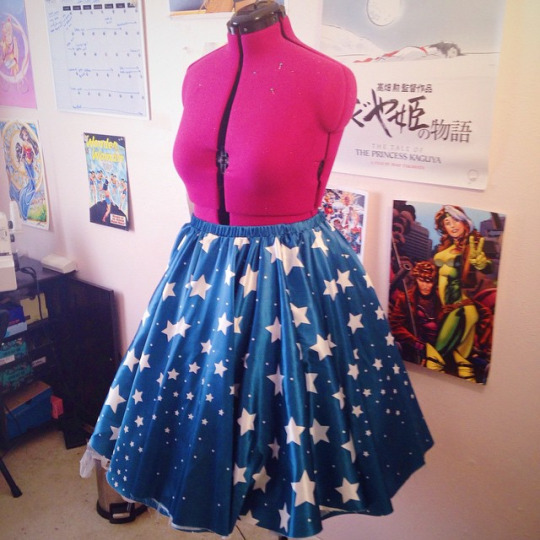 Mock-ups are also great to figure out crazy designs like my Captain Marvel dress! 11. Use mock-ups when possible. Especially if you’re new to a project and trying to test the waters. Destroying $30+/yd fabric is traumatizing and can be a major time setback. 12. Micro-craft! Ever have one of those mornings where you wake up 20-30 minutes before your alarm goes off and you just can’t fall back asleep? Or you’ve got half an hour before you have to leave for something? I often use those moments to check off small to-dos on my normal crafting list like pinning zippers, stay-stitching, or even just setting out all the items I’ll need to complete a project. Every little bit helps! 13. Build on what you already have. Alternate versions of characters or characters with similar costumes can be a great way to save time and money. For example, my Marvel Now! 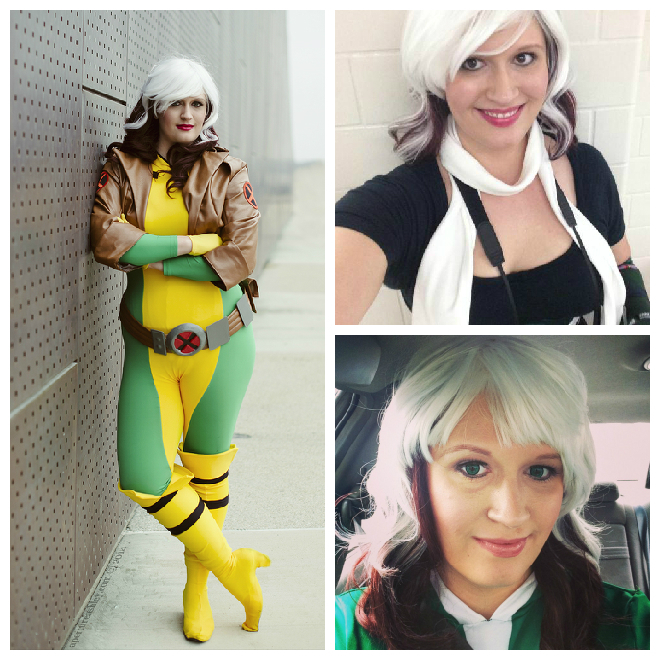 Rogue took less than 10 hours to make since I only had to make the spandex pieces. It was also super cheap since I had all the materials on hand from previous projects. Got other tips on time management? Sound off in the comments! Ah, sweet, sweet summer heat. My two biggest cons of the year are over, but I still have several cons and big builds on the horizon! I made this costume for an A-Kon group with friends. The big thing I finished in early June was my grimerie. This is probably the best prop I’ve made to date, and the cards were definitely a crowd pleaser 🙂 A huge thank you to Riddle’s Messy Wardrobe for showing me her Elizabeth book and cards! I got started on my new Wonder Woman during our live stream last week! I’ve wanted to make this costume for almost a year now and have been shopping for a good fabric pretty much since then. After months of only finding patriotic quilting cotton and Elsa fabric, I finally gave up and decided to have the fabric printed on Spoonflower. Callula Cosplay graciously created the file for me, and it only took about a week for the fabric to arrive in my mailbox! I had this printed off on satin. It is shiny, but not overwhelmingly so. Overall, I’m pretty pleased with how painless this process was. I’m planning to debut this costume at Anime Fest over Labor Day Weekend. It’s almost comical at this point documenting Lulu. I bought about 10 yards of lace from Golden D’Or last time I was there, and started cutting out the pieces I want for the trim on my dress. After about 3 hours of cutting, I realized 10 yards was nowhere near enough. Thankfully, Ohheyabear Cosplay donated some lace to my stash, and I’m purchasing 60 yards of lace from cheaptrims.com soon. Yay wholesale prices! Hopefully another 70 yards of lace will do the trick 😛 In July, I’m hoping to cut and paint the remaining lace and get started on the crinoline that will be the base for the belt skirt. 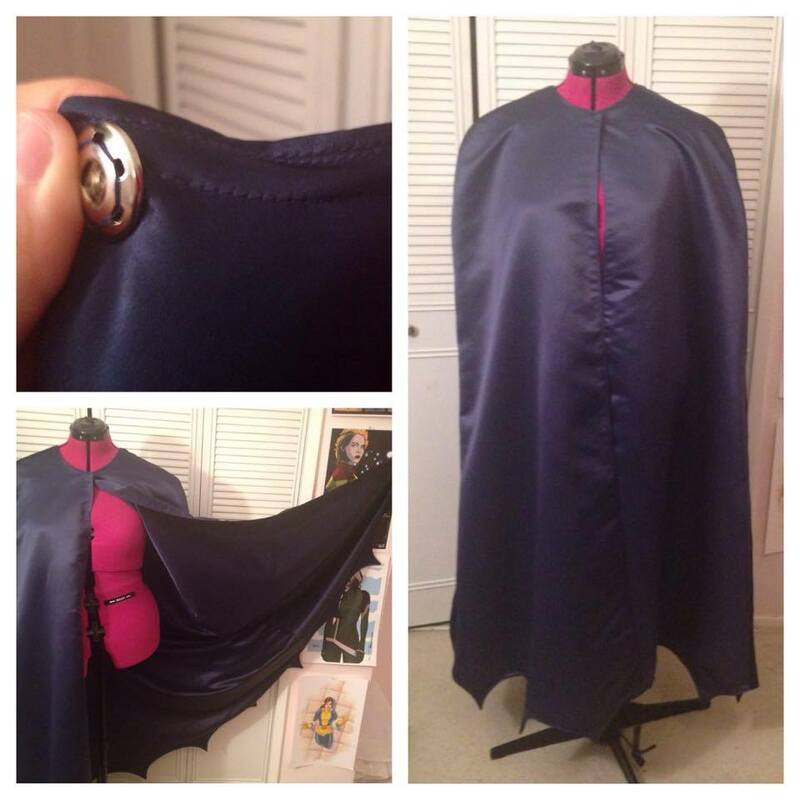 Shortly after A-Kon, I knocked out a 1966 Adam West style Batman cape (I promise, a cape tutorial is coming soon!). I turned to Williams Studio 2 for tips and drafting information. I thought about buying their pattern, but it calls for 9 yards of fabric, which seemed a little ridiculous to me. This cape has 6 yards of poly satin. There’s twill tape sewn into the lining side for stability, and it closes at the front with a heavy duty snap. Also, I recently realized I’ve been sewing snaps wrong for YEARS. Oops. The more you learn, right? 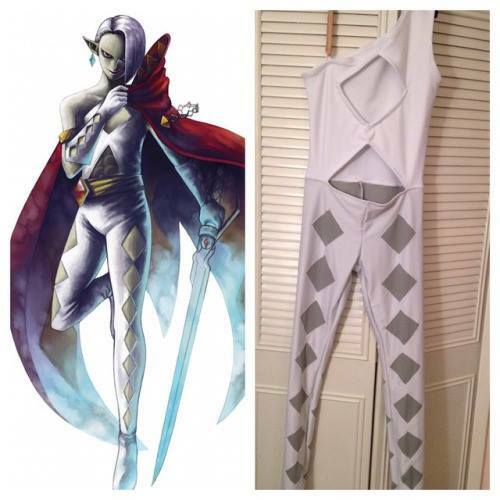 I also knocked out a Ghirahim bodysuit commission this month. This has definitely been one of my most challenging bodysuit builds to date! I combined the top and pants (with a few alterations) on Kwik Sew 3029 to create this suit. Cutouts on spandex can be very particular, so I made a mock-up and drew all the squares on my client while he was wearing it. To make life a little easier for both of us, I underlined the pants with a grey milliskin to match his bodypaint and treated the squares on the white moleskin as reverse appliques. For the top, I underlined it with an extra layer of white moleskin, faced the cut-outs with scraps, and top-stitched it down. The top opening, sleeve, and exposed portion of the waist cut-out are closed with 3/8″ elastic to give it a bit of extra stability. I also added small strips of 3/8″ elastic to the exposed shoulder so my client can use clear straps to hold the suit up if necessary. All in all, it’s been a pretty busy month. I’m grateful that I have a small break in commissions coming up and that my next two costume builds are simple and they don’t need to be finished for another 2 months. I’m really looking forward to having time for non-cosplay projects and finally getting my Etsy store set up in July! 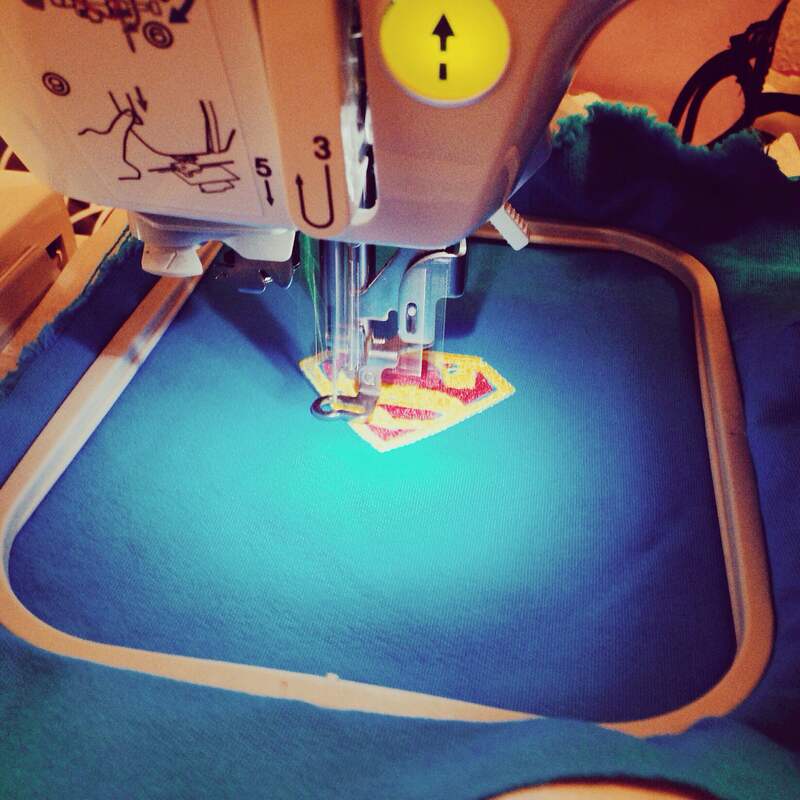 What costumes are you working on right now?